Long-season heirloom with beautiful deep-purple sprouts and plenty of vitamins. An heirloom variety with legions of fans in Italy and England who are mad for its beautiful deep-purple sprouts and high nutritional content. Introduced to the U.S. in the second half of the 19th century, this long-season variety is also a favorite of American gardeners and chefs. 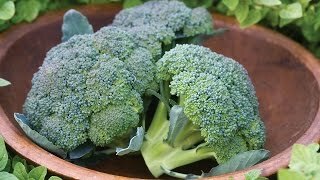 Enjoy raw for beautiful color in salads and crudites or cook as you would regular broccoli and the color turns the traditional green. Once the central head is harvested, the plants continue to produce plentiful side shoots. In long-season regions, you can start it indoors and plant outside in early spring-or, if you like, plant in late fall, allow the plants to overwinter and harvest in spring. Extremely cold-hardy. 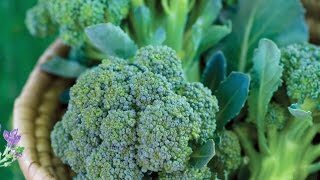 Harvest in about 120 days if growing in summer in long-season areas or about 200 days if overwintering. Broccoli, Purple Sprouting is rated 2.0 out of 5 by 3. Rated 1 out of 5 by Deere420 from Never Develops Heads I've planted this variety over the past three years. Started the seeds indoors in the spring. Only one early planting this year did any heads develop. The second and third plantings never developed any heads after being in the garden all summer. Beautiful plants, but not worth the effort. Rated 1 out of 5 by Ludy from Big stalks but still waiting on it to produce head Plantedvseeds indoors in July and replanted under grow lights in September because the first ones were spindly. Transplanted to high tunnel in October. High plants but no headed yet. Still waiting. If I wehave to wait much longer I’m afraid it will bolt.